Gary Lee Bullock is a suspect in the murder of Father Eric Freed. Authorities have arrested a California man suspected in the murder of a beloved Catholic priest and educator found dead in the rectory of his church Wednesday morning. 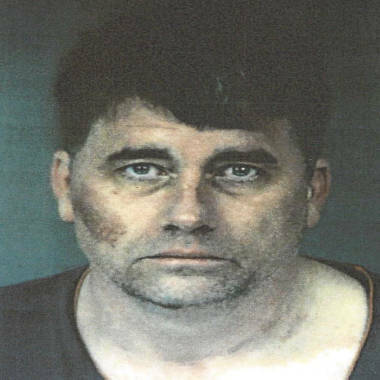 Gary Lee Bullock, 43, of Redway, Calif., was taken into custody Thursday afternoon by Humboldt County deputies in connection with the slaying of Rev. Eric Freed, police said. Bullock had been named in an arrest warrant earlier Thursday. He had actually had a series of encounters with local law enforcement in the hours leading up to the slaying of Freed — including an arrest for public intoxication — police said in their statement naming him a suspect. Freed’s body was discovered by parishioners at St. Bernard’s Catholic Church in Eureka, according to police. On Tuesday, New Year’s Eve, deputies with the Eureka Police Department responded to reports of a person “acting strangely” in southern Humboldt County. Bullock was then arrested for public intoxication and taken to jail but “was rejected due to his erratic behavior,” according to a police statement. Father Eric Freed was found dead in the rectory of his church. He was then taken to a hospital for evaluation and released in the early hours of New Year’s Day. Just two hours later, the suspect had another run-in with authorities: Police officers responded to a report of a suspicious person — Bullock again — but determined that he was not intoxicated and shouldn’t be detained, according to the statement. He was referred to a homeless shelter. Later that morning, police said, a guard at Freed’s church noticed a person matching Bullock’s description on property and instructed him to leave. An exact cause of death has not yet been determined, according to police, adding that an autopsy is scheduled for Saturday. Freed was beloved in Eureka, especially among its sizable Japanese community, Jager said. He was installed formally as pastor at St. Bernard’s parish in 2011. In addition to his priestly duties, Freed taught in the Religious Studies Department at nearby Humboldt State University. 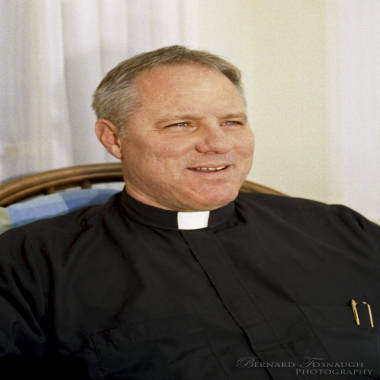 A Catholic priest in California is found dead inside of a Eureka church rectory. KIEM’s Robyn Ridpath reports.